What's up for the astronauts? 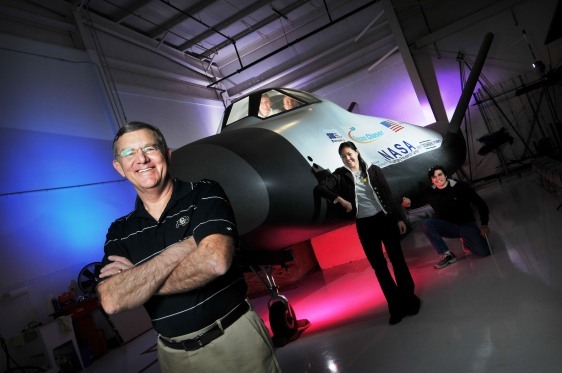 Former astronaut Jim Voss stands with students around a full-scale model of Sierra Nevada Corp.'s Dream Chaser mini-shuttle, housed inside a hangar at Centennial Airport in Colorado. Voss teaches engineering at the University of Colorado and is also an executive at Sierra Nevada. The UC-Boulder students in the picture include Christine Fanchiang, Taylor Donaldson, Chad Healy and Ben Kemper.